The sixth-generation iPod nano is officially obsolete, meaning Apple will no longer repair or service the portable media player. Apple added the sixth-generation iPod nano to its internal vintage and obsolete products list on August 30, according to a memo distributed to Apple Stores and Apple Authorized Service Providers seen by MacRumors. Apple repairs and services products for up to five years after they are no longer manufactured. The sixth-generation iPod nano was released in September 2010 and discontinued in September 2012. As required by statute, sixth-generation iPod nano owners in California may still obtain service from Apple Stores or by contacting AppleCare at 1-800-APL-CARE. The extended coverage period will likely end in September 2019. The sixth-generation iPod nano was notable for its square-shaped design. A number of third-party straps and accessories were released that essentially turned the device into a very early version of the Apple Watch. 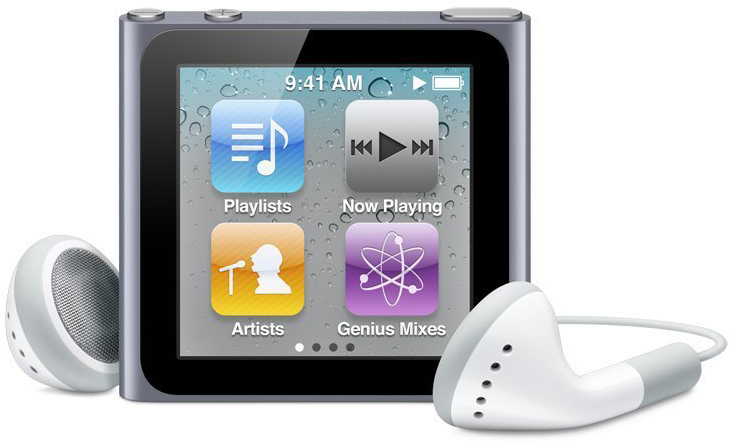 Unlike the fifth-generation iPod nano, the sixth-generation model lacked a click wheel, video camera, and speaker. Instead, it had a touchscreen and adopted the iPod shuffle's clip to make it wearable on the go. Apple returned to a rectangular design for the seventh-generation iPod nano, and added a Home button to the device. The design remained the same until Apple discontinued the entire iPod nano and iPod shuffle lineups in July. Apple has yet to list the sixth-generation iPod nano on its public vintage and obsolete products list, but the device will likely be added soon. The gears actually moved in the background with the black and green one on the far right (top pic). We’re missing small touches and attention to detail like that. Mine is still seeing pretty consistent use. I still think it's one of the best iPods to use while on the go; just clip it on and forget about it. I used mine for a walk just about an hour ago! Sad to see it go. This was as an excellent little device that was compact and perfect for running. Such a great little device!! I loved the two finger twist screen to turn it any direction. And I used to remember wearing it on wrist! 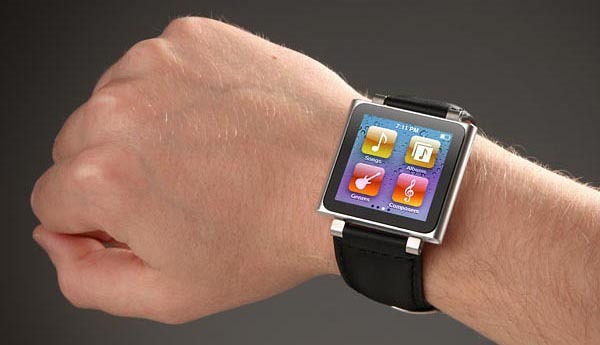 It's kinda weird seeing the Apple Watch now when that was out so many years ago - truely a device way ahead of its time! Classic Jobs era stuff.. The only Apple Watch with a headphone jack. If it still functions, it is not obsolete. I think the Apple Watch is better (when they roll out watch os 4). Wireless syncing of music is more convenient and so is using wireless headphones. You can save music into an Apple Watch so you can listen without your phone. Probably my favorite iPod. Still use it on a regular basis for sports and in the car.